National Monitoring work with an increasing number of organisations safeguarding their employees who work alone in conditions that expose them to the potential risk of accident, injury or work-related violence. Our Lone Worker monitoring solutions helps employers to reduce these risks, comply with HSE legislation and fulfil their duty of care obligations. Lone workers are provided with a GPS device that allows direct contact with our alarm receiving centre in critical situations and is capable of locating them to within 10 metres*. 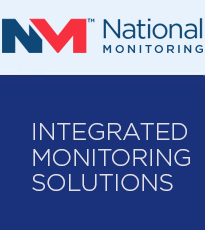 Working in partnership with leading manufacturers National Monitoring offer a range of protection devices including hand held, pendant and bracelet personal locators all supported by a state of the art monitoring and tracking platform.